As November comes to an end, you can already hear the faint jingling of December Christmas bells – but let’s not get ahead of ourselves. There are still many social media updates to keep track of (and social media never slows down), such as Facebook’s new video feature, Snapchat’s Bitmoji store and LinkedIn’s dive into traditional social media. media update’s Christine Gerber highlights the top social media stories from November and reveals why they made headlines. The world of social media is alive and well – with stories kicking even during the excitement of the upcoming holiday season. And there were quite a few updates during the month of November. Let’s take a look. The news: Facebook Messenger will soon let you watch videos with other users – in synchronisation. This means that you’ll be able to watch the video you’ve sent to your friend via Messenger and experience it together. The feature’s code was discovered by TechCrunch tipster Jane Manchun Wong, along with the founder of Timebound app, Ananay Arora. According to Wong, the code has unveiled the ability for users to tap ‘watch together now’ on their mobiles, which allows them to share their video with a friend as well as chat about it at the same time – users can even check to see if the person they have sent the video to is watching it! Why it’s making headlines: You might be wondering which websites users will be sharing these videos from. Well, the videos could come directly from shared content from the Facebook News Feed itself. Additionally, Facebook could also have the option of forming a partnership with YouTube. Whatever its intention is with this new (still in-testing) feature, the one thing that can be confirmed is this: Facebook is gearing up for even more personalised experiences. But it doesn’t stop there. This could also be another revenue strategy for the platform, as it provides opportunities for advertisers to include their two-cents (by including ads in-between each video). The news: We know by now that social media platforms are looking to enter the e-commerce industry – enter Snapchat’s new Bitmoji store. 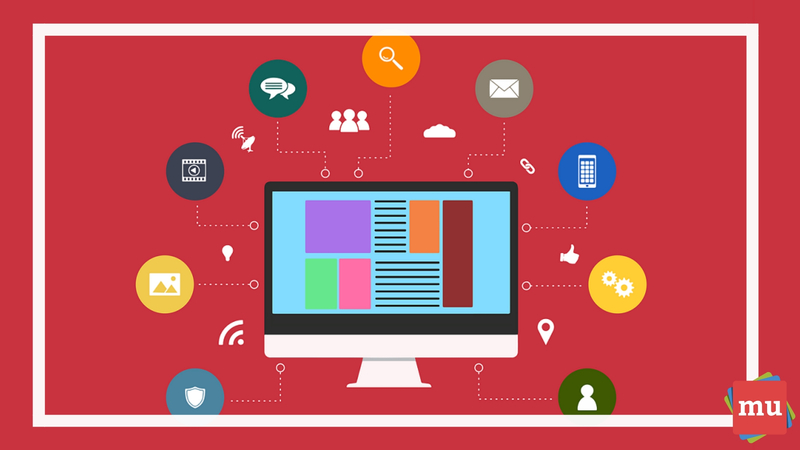 Social media has opened many doors for retailers – including a target market of online shoppers. 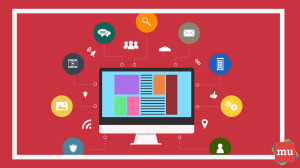 Read about the Three social media platforms that are changing online shopping for the better. What’s a Bitmoji, you ask? A Bitmoji is a unique avatar that you create using Snapchat’s Bitstrip comics feature. The cartoon is meant to be ‘you’, and allows you to put ‘yourself’ – or your avatar – in various comic strip scenarios on the app. Users can also have their Bitmojis interact with one another. The new Bitmoji store will now allow you to purchase merchandise based on the comic strips you create. Each Bitmoji product is completely customisable and personalised to your own avatar. Why it’s making headlines: More and more social media giants are turning their platforms into revenue streams – and Snapchat is now jumping on the bandwagon. 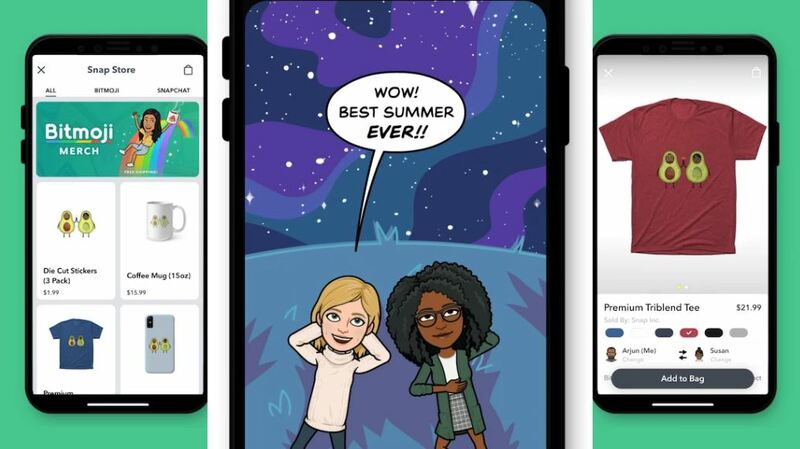 The new store could be a way for the platform to remind users of its Bitmoji and Bitstrip comics features, which are entirely unique to Snapchat. Additionally, it will bring in extra cash, as well as create hype about the brand. 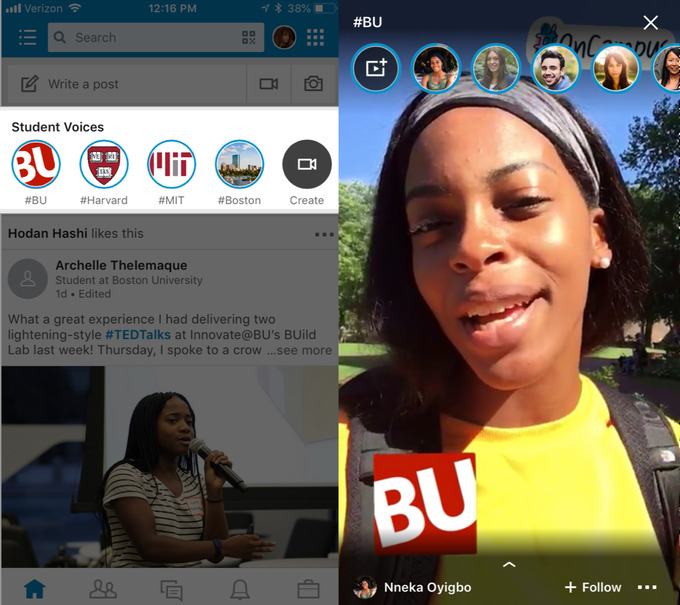 The news: LinkedIn has announced the launch of ‘Student Voices’ – a new feature in the United States that allows students to post short videos to a uniquely collated playlist. The videos last for a week on the playlist, yet permanently on your Recent Activity section on your LinkedIn profile. Why it’s making headlines: Up until this point, LinkedIn has been a platform where businesses, employers and employees can get in contact. Now, the platform is entering a new territory of ‘shared experiences’, which is very similar to what other social platforms have been doing for quite some time – think Snapchat, Instagram and Facebook ‘Stories’. LinkedIn told TechCrunch that its reason for launching this new feature is to help students ‘share their academic experiences, like internships, career fairs and class projects, that they’d want to show off to recruiters as part of their personal brand’. “[Student Voices] is a great way for students to build their profile and have this authentic content that shows who they are and what their academic and professional experiences have been,” says LinkedIn product manager Isha Patel. “Having these videos live on their profile can help students grow their network, prepare for life after graduation and help potential employers learn more about them,” Patel says. However, it seems as if LinkedIn is just trying to capture the attention of a new, and younger, audience. What do YOU think? Is LinkedIn trying to catch up to its other social media competitors? Let us know in our comments section below. 2019 is fast approaching, and it won’t be without its fair share of new social media terms. Make sure you’re prepared for the new year with The colossal guide to social media terms for 2019.